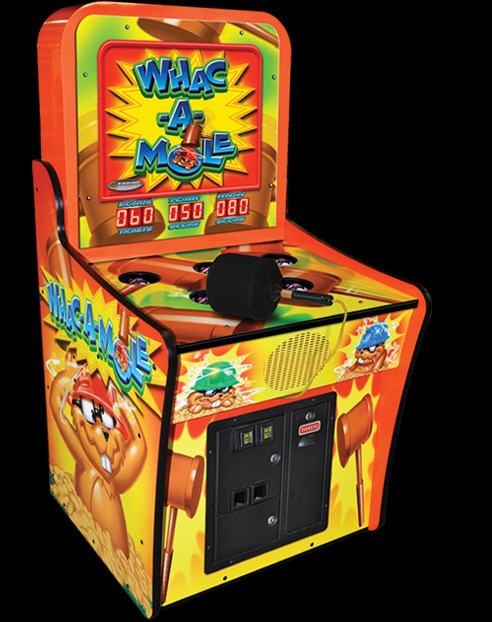 My back pain these days is like a painful game of Whac-A-Mole. You know that classic physical hammer game where a plastic mole jumps up as you try and bonk it on the head before it goes down and the next one pops back up. Well that is the way my back pain has been the last few months. The middle of my back hurts and then I whack that pain away, and then my upper back hurts and I whack that pain away, and then my lower back hurts and I try and whack that mole away. Today the lower pain mole has reared his ugly head and I have yet to whack him into submission. Thanks to The Google, I have learned some quick exercises to specifically to help rectify lower back pain. That and some merry go round ice and hot pack therapy will hopefully whip me back into shape in no time. Or just in time for the next mole to arise.